Francis must reconcile his relationship with his abusive father who suffers from Huntington's Disease. Francis' younger brother, Ed, records their dysfunctional lives with his Super 8 camera. A rumination on childhood, creativity, familial illness, and, ultimately, grief, The Cameraman, from writer/director Connor Gaston is a film that covers so many topics it’s amazing that it doesn’t somehow get buried by the respective weight of them all. At its core, this is the story of two young brothers coming to terms with their father ’s imminent demise. Their dad is slowly being consumed by Huntington’s Disease, a degenerative brain disorder. And, so, they watch, not only terrified by the way it has transformed their father both physically and mentally, but also the underlying feeling that they are looking into a portal of their own genetic future. 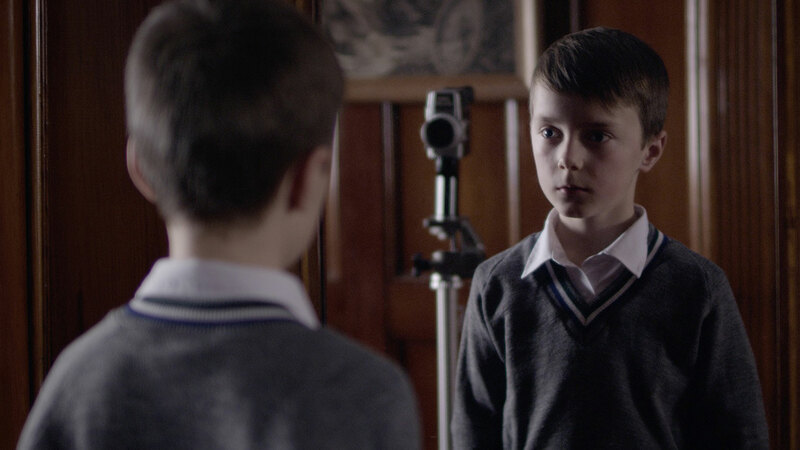 The boys handle this trauma with an odd detachment, the younger of whom, Ed, is constantly filming everything with his Super 8 camera. Ed’s camera becomes an appendage—a coping mechanism that allows the boy to contextualize the harshness of reality into something under his control. Reality becomes performance, and thus, easier to deal with. The lens is his shield. We often like to think of people with debilitating illnesses as noble warriors—fighting the good fight against insurmountable odds. But, in The Cameraman’s depiction of a father losing control of his own faculties, we are given a glimpse of something far more authentic: fear, confusion, and anger. It’s not a subject that’s easy to digest, but by not shying away from the uncomfortable truth, Gaston crafts something that ends up being more profound. When the film finally breaks through its stoicism for the film’s final act, giving the audience a chance to literally view Ed’s film, it hits hard in the gut—a beautifully sweet montage that serves as an earned emotional climax, both personal and heartfelt. Gaston adapted the film from his father’s novel of the same name, with the ultimate goal to tell an inspiring story about brotherhood, illness, and the power of art. The film succeeds in its ambitions, managing to give all those topics the attention they deserve, complimented by a deft directorial hand that never milks the inherent melodrama of a dying loved one.